As George Bernard Shaw said: “Make it a rule never to give a child a book you would not read yourself.” The same is true for Children’s Wallpaper. 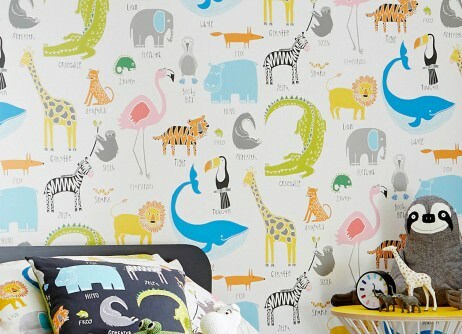 Kids know exactly what they want and should have a say in the choice of wallpaper for their rooms. Our Kids’ wall covers are geared towards children’s needs and depict their world in all its facets. Our patterned and motif wallpapers provide a backdrop on which to explore imagination and reality. Playful learning, daydreaming and relaxing – it all fosters and supports a child’s abilities and senses. These are the 3 most important elements for a child’s development. The world provides new experiences every day. The nursery or kids’ room is safe haven as well as playground, and adding the right wall cover can make it an oasis of dreams and wellbeing, where the events of the day can be processed. Choosing the “appropriate” wallpaper from our lovingly designed assortment boosts the joy of playing and learning and helps create areas of creativity, dream landscapes and adventure playgrounds. Our designer wall coverings in traditional or innovative patterns, motifs and colours will delight any boy or girl. 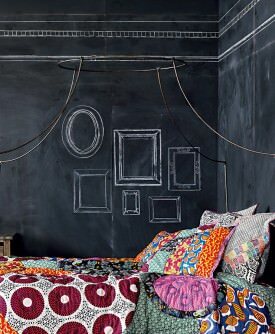 Children are inspired by the motifs and colours of their wall décor. Emulating their role models is an important element of growing (and growing up), and consequently, the most popular patterns for kids’ wallpapers are flowers, animals, fairy tale, fantasy and comic characters, movie and TV heroes, technology, vehicles, and sports. Contemporary and imaginative, our unique Children’s Wallpapers are manufactured using high-quality, non-toxic materials and enable you to create a safe personal space for your child which facilitates their development. 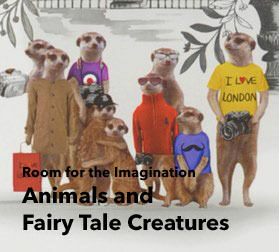 Cheerful, colourful, stimulating and with educational value: we take great pride in our fabulous children's wallpapers. Our range of wallpapers for children is very varied and takes different stages of development, genders and interests into consideration. With designer wall décor for children, for instance by Studio Ditte and Majvillan, we aim to provide you with plenty of inspiration for fantastic kids' rooms. We think it is important to involve children when selecting patterns, motifs and structures of the wallpaper that will adorn their bedroom. Depending on their age, their choices will continue to change as they go through many stages of development and their individual taste and preferences change. However, when it comes to the functional and practical characteristics of wallpaper for the child, it's the parents that need to make the decisions. Kids' rooms are always a hive of activity and wallpapers for kids' rooms should be able to cope with stains and damages. Durable, wipeable children's wallpapers should have preference. 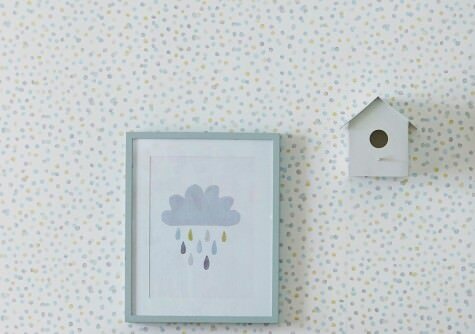 Babies, toddlers, teenagers and young adults - the right wallpaper pattern or wallpaper motif for kids depends on the age and the ability to make sense of the world. Babies and toddlers experience their environment with all their senses, they gradually familiarise themselves with shapes and colours. Choosing appropriate child wallpaper can support these learning processes. The graphics and visual designs of our design wallpapers for children take various different ages and development stages into consideration. Wallpaper patterns should never overwhelm the child's mind or eyes. The younger the child, the more abstract and large-scale the wallpaper pattern should be. As the child progresses, patterns and motifs can be more concrete and clearer until the boys and girls reach a stage where they have their own favourite themes and preferences. Is there such a thing as a typical wallpaper for boys/girls? Not in our opinion. 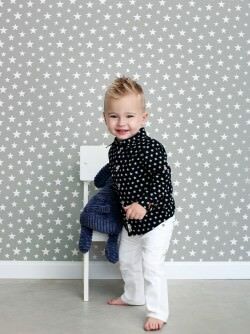 Many motifs in wallpapers for kids can be attractive to both girls and boys, as each child develops in their own manner and at their own pace. When it comes to the classic gender roles (or stereotypes? ), girls often like dolls, horses, princesses, castles, fairies and fairy-tale creatures. We have a wide range of romantic, playfully floral pattern wallpapers for girls available in our Wallpaper shop. Boys tend to go for cars, machines, airplanes, sporty motifs, to name but a few. But there a many common themes that both genders like when it comes to pattern motifs for kids' wallpapers, for instance: animals of all types and sizes, galactic worlds and astronauts, pirates, treasure islands, comic characters, letters, geometric shapes, underwater worlds. One of the all-time motif favourites, which comes in a huge variety of models, is elephant wallpaper. It should be mentioned that girls can be very much into "typical boy's themes" and vice versa. Sweeping generalisations will simply not work, as the choice is based on individual tastes. Having said that, when it comes to colour, old-fashioned or traditional clichés often still exist: Pink for girls, blue for boys. Our brightly coloured wallpaper world is ample proof that there are infinite options of hues beyond pink and blue which will create just the right mood in your child's room. Wallpapers for kids are free from the constricts of the mainstream or traditional conventions. From motif themes to colours and beyond, there is a plethora of possibilities. The most important aspect is what impact children's wallpapers have on the beholder. Which senses do they appeal to? Does the wall décor stimulate the play instinct and the imagination of the child? Does the wallpaper for children activate learning processes, does it help to calm and relax them? These are the things that wallpaper designers contemplate - they think about children and their lives and experiences. 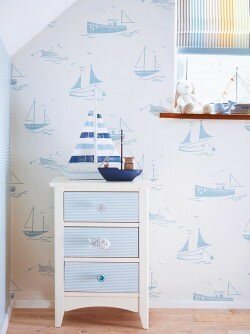 That's why the wallpapers for kids in our Wallpaper Shop provide a new take on styles for children's rooms which are as varied, colourful and individual as each child. By the way, kids' wallpapers aren't just limited to children's rooms. Wall décor with children's motifs is also extremely well suited to create personal areas for children in other rooms of the home. 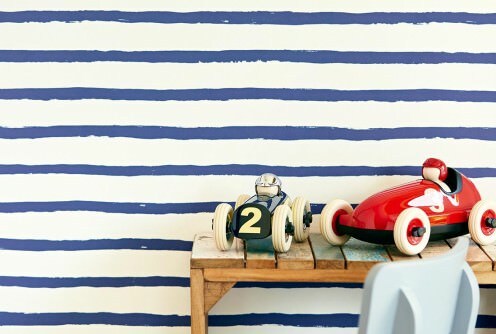 Wallpaper for kids can adorn hallways or stairways, playrooms, sportrooms, kitchen and dining areas as well as bathrooms. When children select their favourite wallpaper, parents often don't quite understand why it just HAS to be this pattern or that motif. But then again, they don't have to. Younger children decide intuitively, based on colours and patterns/motifs that appeal to their senses. 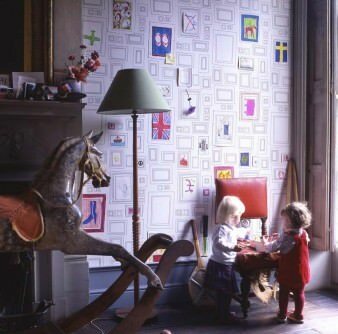 As they grow older, children become more aware of fashionable wallpaper designs as they want their surroundings to represent their own budding personalities. Friends come to visit and the child wants to impress them - they want their room to be the best. Our fabulous choice of patterns and motifs for kids' wallpapers opens new creative possibilities. 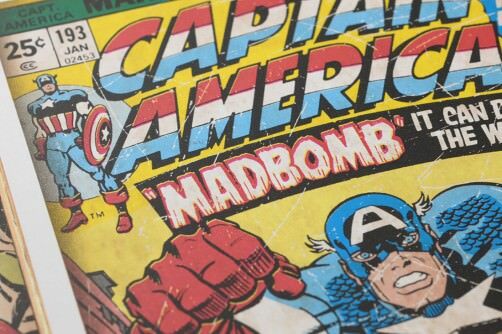 There are, for instance, cult comic characters like Mickey Mouse or Spiderman, stars in all conceivable variations, and exciting adventure landscapes with role-play character. Children can enter the Big Tent and immerse themselves in circus stories, explore the universe in space rockets or escape to a magic unicorn forest. Geometric patterns are also very popular, e.g. 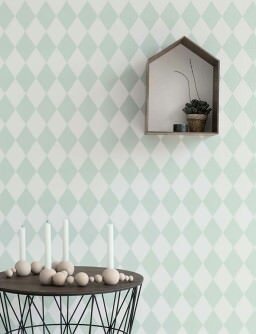 striped wallpaper for children, wallpapers with polka dots or funky retro patterns in bright colours. Letter wallpapers are both striking and educational, particularly the large puzzles and cross-word type wallpapers that are also real brain-teasers. Wall décor label Studio Ditte is the brainchild of three talented Dutch designers. Their wallpaper patterns are all about the things of life, those aspects that influence both children and grown-ups in a conscious or sub-conscious manner. Mundane everyday objects, elements from nature, are arranged in stunning patterns and given a new meaning. As the motifs depicted in their wallpaper designs for kids, there is anything from bird houses and work vehicles to funny little robots and rockets, colourful buttons, cute animal faces and delicate flowers. Memories of childhood, the past recalled, the much loved style of the 70s - all these elements find their way into the wallpaper designs by Majvillan. 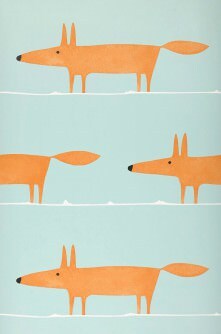 Charlotta Sandberg designs children's wallpapers which open up enchanting and exciting worlds. 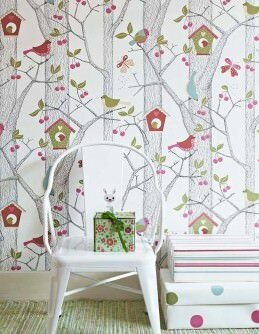 But subtle geometric patterns in pastel hues or playful baroque wallpapers are also part of her stunning portfolio of kids' wallpapers. The fantastic designer wallpapers by Lisa Bengtsson depict animal friends like tigers and poodles, beautifully arranged flowers or frames that leave space for children to get creative and fill with their own works of art. 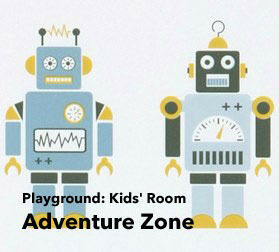 Kids' rooms are, by their very nature, busy and somewhat rowdy places. Hot chocolate may be spilt, toy airplanes might hit the wall, etc. Wallpaper for children should be easy-care (e.g. wipeable) and able to take minor damages without the general visual appearance being impaired. Washable wallpapers with a vinyl coating (vinyl wallpapers) can be wiped with a damp cloth and retain their beauty whilst being hygienically clean and fresh. This material is also extremely durable. 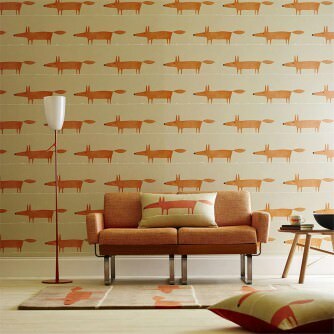 Order children's wallpaper with a huge variety of surface materials from our Wallpaper Shop. We offer nature wallpapers, textile wallpapers, metal wallpapers, effect foil wallpapers, glass bead wallpapers, imitation leather wallpapers, flock wallpapers, and many more. The likelihood of "wear and tear" determines the choice of wallpaper surface material. Delicate surfaces made of natural or textile materials aren't washable and should therefore not be considered for children's bedrooms. Depending on the age of the child and the use of the space, metal or effect foil wallpapers can be a good choice if taken care of. Non-woven (fleece) or paper-based wallpaper for children? A good question. A child's room should adapt to their age and will be changed and re-designed in an age-appropriate manner repeatedly as he or she grows older. 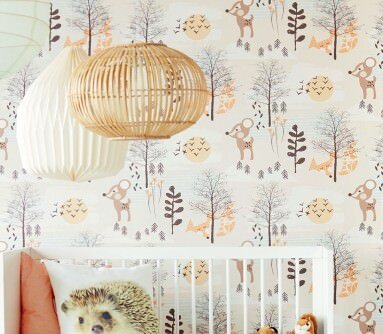 Generally speaking, we would recommend a non-woven wallpaper for kids' rooms. They make pasting and soaking of wallpaper strips superfluous as the wallpaper adhesive is applied directly to the wall. Kids' wallpapers "fleece" are inherently stable (i.e. they retain their shape) and can be pulled off the wall in a dry state without leaving any traces behind, making it a very simple process. When it comes to surface materials, there is plenty of choice to meet every preference.